i write a lot of love letters. i also use the bcc function often (sending a copy of a msg without announcing it to person getting the original). This occasionally causes distress in some of the recipients of the bcc. “Are you sending blind copies of love letters to me to other people ?” Actually, sometimes, probably. “Why can’t you tell the person you are writing everyone who you are sending the msg to?” There are a few reasons, but principally, i am not trying to start a dialog between these people. What is interesting to me is that some part of the sin here seems to be the timing. If i write the letter and send it, and then decide afterwards that there are some people i want to send a copy to and forward it on, there seems to be less upset about this practice. If i were to summarize the letter or even read it over the phone to someone else, i think there would be even less distress. But the blind copy is not acceptable to some people. Abigail understandably chides me if i send her too many bccs without sending a real love letter to her. Feonix can be relied on to contact me if i am bccing her on some tricky love letter indicating a difficult situation i am in. Angie bcced me on a reconciliation love letter she wrote and then in a comic move said in the body of the letter that she was bccing me. Sara bcced Marta on a msg to me that i then cced Marta in my reply on to everyone’s amusement. 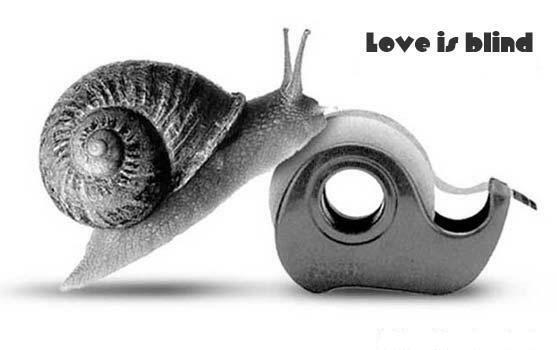 So it is true what they say love is blind (copy). like other ways you rub off on me, this is one i both relish and am a bit grumpy to admit to. and i, like abigail, grow unhappy if there are too many bcc’s and nothing for me. thanks for making my love a little bit more blind.